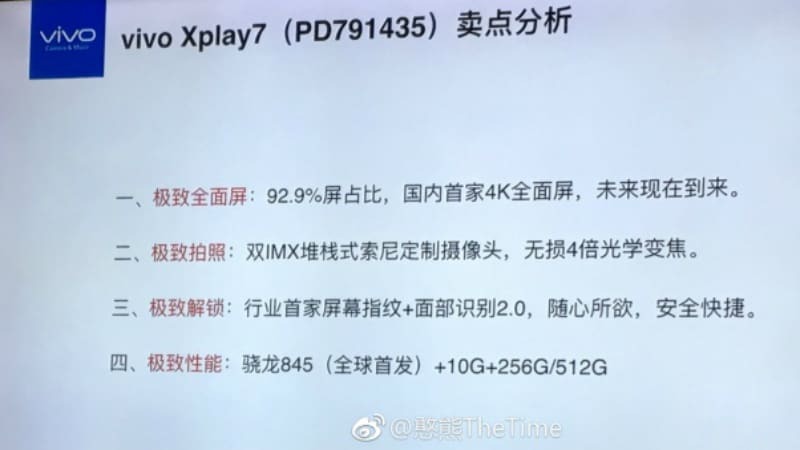 Vivo xplay7 the first smatphone with 10 gb of RAM. Vivo has been known to push the boundaries when it comes to smartphone internals. Recent leaks suggest that the company's upcoming flagship phone, the Xplay7, might be powered by 10GB RAM, which, if true, will be the most ever seen on a smartphone. 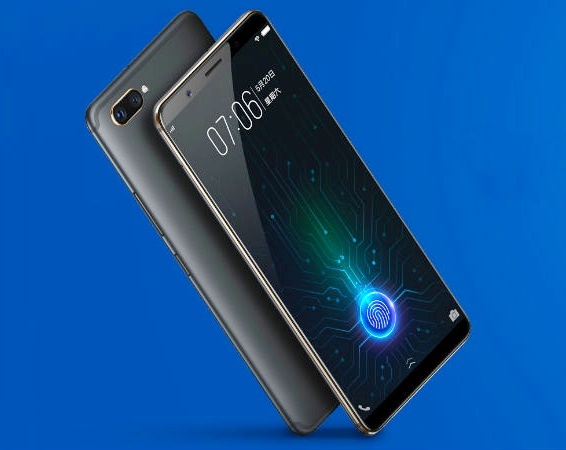 Apart from that, the Vivo Xplay7 is also expected to feature a 4K OLED display, Snapdragon 845 SoC, up to 512GB storage, and an under-display fingerprint sensor. As we mentioned, a couple of leakshave surfaced on Weibo detailing specifications of Vivo's supposed upcoming Xplay7. The BBK-owned Chinese phone maker had launched its predecessor, the Vivo Xplay6, back in 2016. If these early reports are deemed to be true, we are looking at one of the best smartphones of 2018 - purely in terms of specifications. The Vivo X20 Plus UD recently became the first smartphone to launch with an under-display fingerprint sensor. According to the images leaked online, the Xplay7 might also be secured with the Synaptics-powered fingerprint recognition technology. With a Snapdragon 845 SoC expected, it will be Vivo's only phone since the Xplay6 to sport a Qualcomm flagship SoC. Talking about the cameras, the leaks reveal a dual rear camera setup with 4X optical zoom. The phone is rumoured to sport a 4K OLED display with a 92.9 percent screen-to-body ratio. It is expected to arrive in two storage variants - 256GB and 512GB - coupled with 10GB of RAM. While Android OEMs have been pushing the barrier for the past few years, this might be the first instance when a smartphone comes with RAM capacity in double digits. There is currently no update on the pricing and availability but we expect it to be available in the coming weeks at a starting price of around $500 (roughly Rs. 31,800).